Been a minute! I trust you guys are doing well? Can you believe we have just a day left in 2016? It's almost too good to be true. You all have to agree with me that even though we had a lot of downs this year, it is a blessing to be alive at this very moment. This year taught me a lot of lessons that I actually paid attention to, I guess the whole saying about getting older and wiser is true afterall. 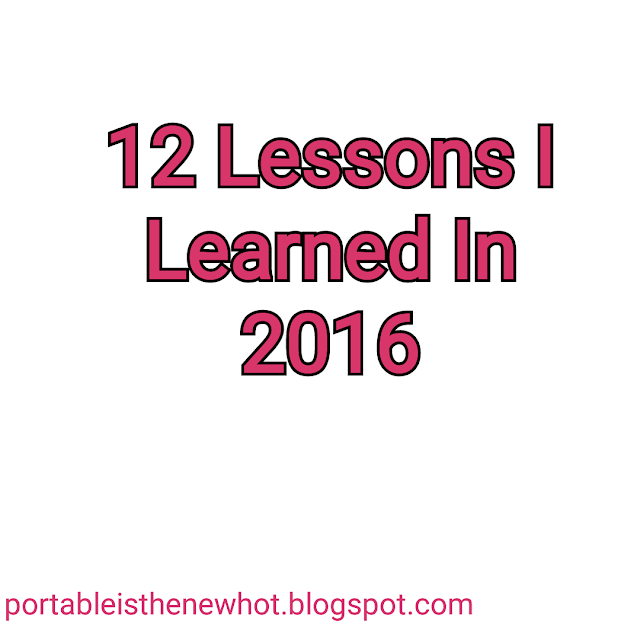 So for this post i would be sharing twelve (12) lessons that I learned this year and I hope that at the end of the post, you'd tell me yours too! 1) To Be Thankful For Every Single Thing: We often take things for granted, without realizing that what we are failing to acknowledge is someone else's prayer request. 2) To Be Undoubtful: There were so many times I doubted that things will work out, but surprisingly they sorted themselves out. How's the week going? I trust you guys are doing well. So I know I did the TMI tag not too long ago, but I thought since we're in the season of sharing and love, I should share some random facts about me that I bet you didn't know. I actually discovered that these 'personal' posts are what people really like to read, I wonder why😏. Okay, I should warn you, it's a long list so get comfy. 3) I don't like Fish, Bread and anything too Sweet. Especially Fish, tastes like metal. 4) I am very Observant. Compliments of the season! 🎅 It feels really good to say that😊. It's exactly a week to Christmas! 🎉🎉 Personally I just can't wait for my office to close up for the year, to think that i actually just started work. But I digress. 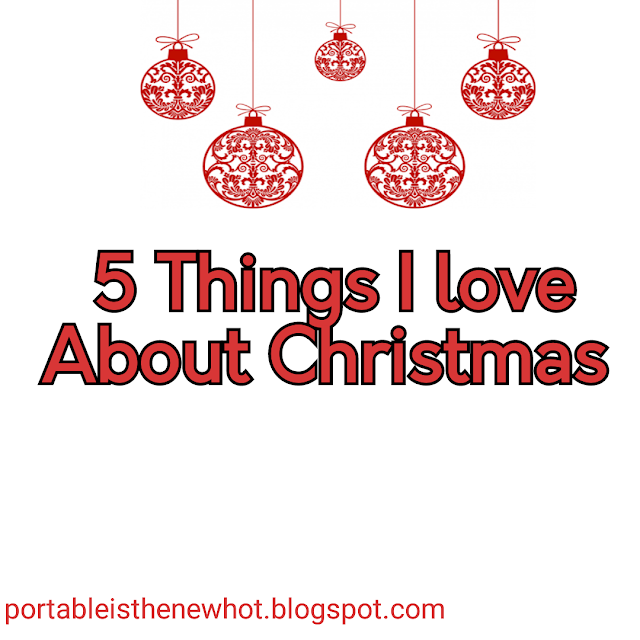 This post is basically just to share with you guys a few things that I love about Christmas as well as to know what you also love about this season! 1) Food: It's not like I eat that much but the idea of having tons of things to choose from is just amazing, when we subtract the actual cooking from it of course 😝. We all know that tis the season for the almighty Jollof, can I get a witness? 🙌 Chicken is not left out too with all them cookies, and lots of drinks to "wash it down". Please why won't you love Christmas. I hope your day went well? 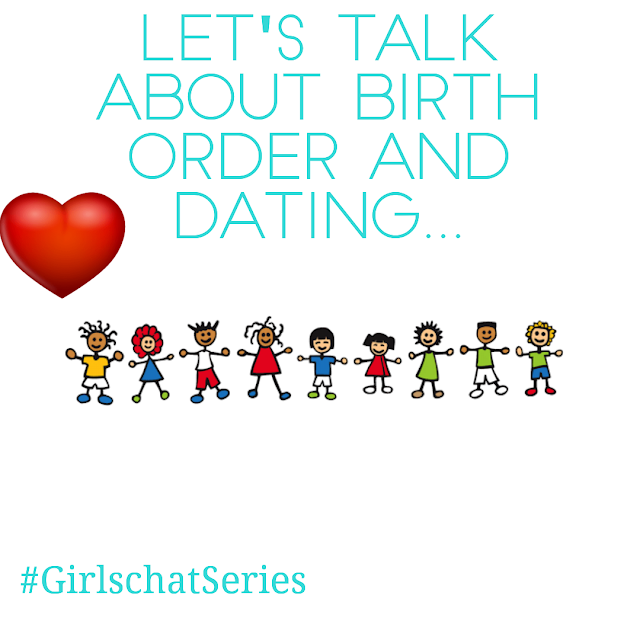 Welcome to the 20th #Girlschat !! Whoop Whoop! You guys are too amazing🎉🎉🎉 Thank you so much for all of your inputs and Contributions, you're the best. So today's topic was inspired by a thread I saw on Twitter last week, you guys already know I love twitter 😊😊. Anyway, this guy tweeted the below picture and of course trust Nigerian Twitter to voice their opinion even where they're not called😂. Dami said: "Hmm a day or two max, If it's going to be longer than that then I know am leaving him. Bola said: "A few days, like 2 or 3 days at most I think. Usually I try to sort out quarrels that same day or the next to avoid it stretching out unnecessarily." How are we enjoying this little holiday? Let me use this medium to felicitate with our Muslims friends. I pray that all our prayers will be answered and accepted. It's #mondayinspiration again! Today we're looking at twenty (20) very important and sure secrets to a successful life. I'm currently reading the book "Top 200 secretsto a Successful Life" and I decided to pick out a few of the things I have learned so far. I'm positive that it will inspire you and impact your lives. I wrote some verbatim while I paraphrased the others, either ways you'll get the message! 1) Sleep Less. The older you get, the lesser you have to sleep. It gives you extra hours to do things that are actually important to you. 2) Inspire Yourself. Whatever you think will make you grow intellectually, that will make you want to do more, look for it and do it. 3) Cultivate Good Manners. They're very essential. Seasons Greetings Guys! Too early? I don't think so. 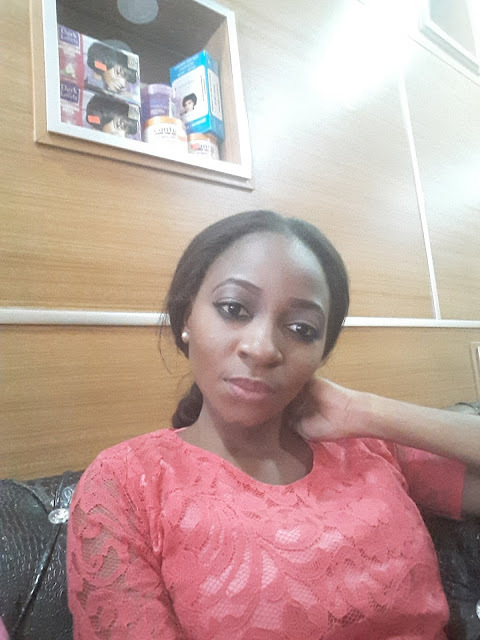 In the spirit of this beautiful season, I have decided to do a holiday Wishlist, you can call it bants, but then you never know who God can decide to use in blessing you, yup! even in this recession (i heard your thoughts😊). 1) Money, Money and Money: Like loads of it! 2) Smart Money Woman: I feel like I'm the last person to get a copy of this and it's just so annoying because I really really want to read this book and become well...a smart money woman😉. 3) The 2017 CassieDaves Blog planner: I was going to get the 2016 Planner but the year was already far spent and I made up my mind that I wasn't going to allow 2017 to pass me by without getting my own copy. The fun part of it is that it has 3 different covers, like how cool is that?! 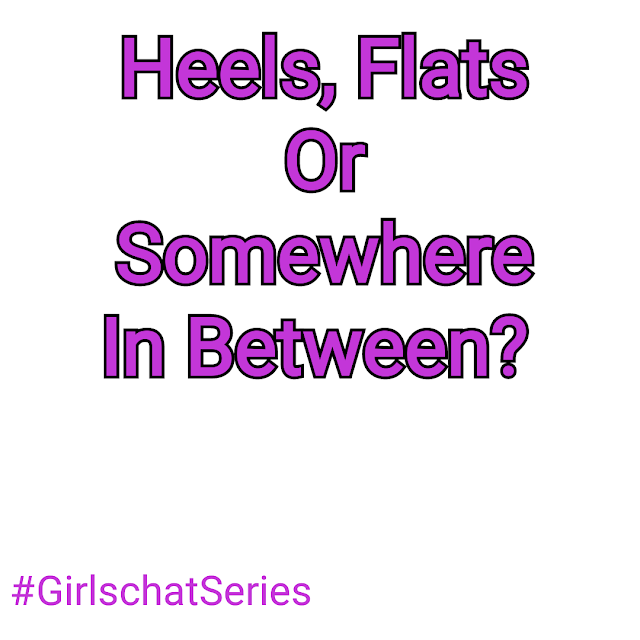 GirlschatSeries 19 || Heels, Flats Or Somewhere In Between? I trust you're well? 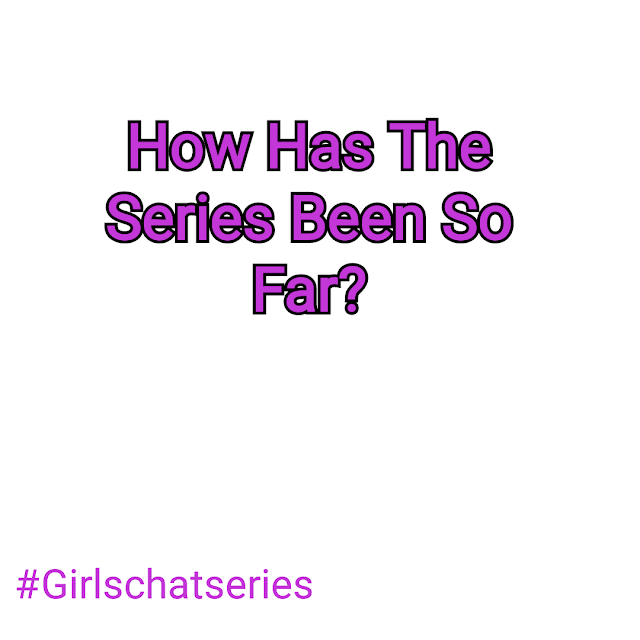 Welcome to another beautiful Girlschat thursday, thank you for always making time to read through our 'gist' you guys rock! I bet you're as excited as I am, because well who doesn't love shoes? We all know that there are various types of shoes. We have heels, flats, sneakers, boots, etc. For today's chat we want to know whether you're a heels kinda chic, the comfy flat girl or just somewhere in between. Chioma said: "Somewhere in between. Because I could be on that for almost the whole day and still feel like am on high heels, but I'm not yet still comfortable. There are occasions one would not want to be on flat not heels but something in the middle and still look classy and sweet. Ulochi said: "Heels, flats, and nowhere in between. Heels for church and special occasions. 2016 is gradually coming to an end, can you believe it? I pray that we shall all see the end of this year and enter into the new year by his grace. 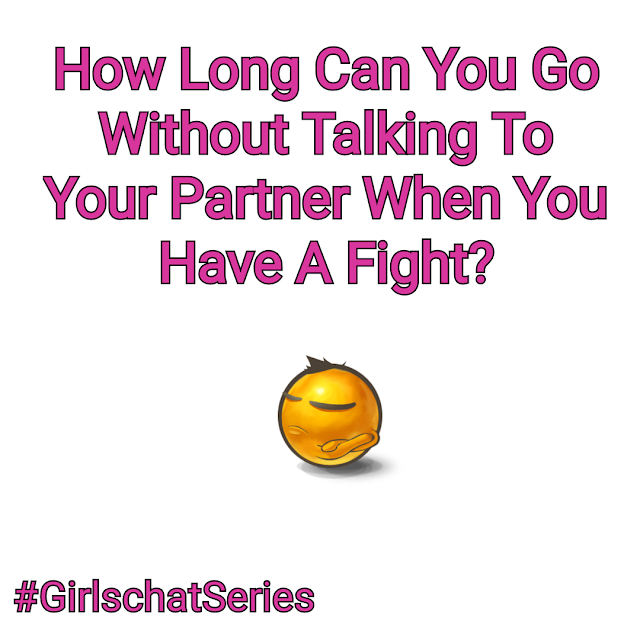 Welcome to another #Girlschat. Thank you for always keeping it a date with Danie and I, we really appreciate you guys. Now to the business of the day. 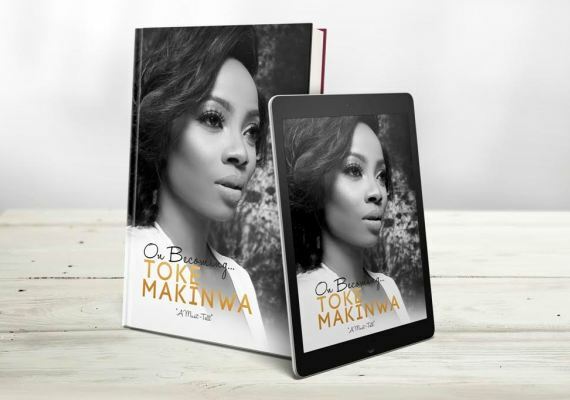 If you're in Nigeria, I'm sure you would heard that media personality, Toke Makinwa recently launched her Book "On Becoming", I never really expected to get my hands on it fast as I did but I'm glad I was able to read it. "On Becoming" is one of those books that you read and you just want other people to know about it. For today's post, I decided to draw out a few lessons that I learned while reading. This book is what I call an awakening and honestly as girls/ladies/women, we need to stay woke! We owe ourselves that much. At some point in our lives, we experience certain setbacks whether in our career, academically, physically, to mention but few. This feeling of being in a rut is not one that anybody enjoys, which is why we constantly look for ways to get back up after life might have thrown us some lemons at us. For today's post I have put together five (5) things to do in order to recover from setbacks. 1) Let Go: This is fast becoming one of my favourite mantras. Holding on to whatever might have caused you to be in that position will only do more damage because you'll keep gutting , worrying, complaining. That whole negative vibe is way too dangerous for your psychological stability. 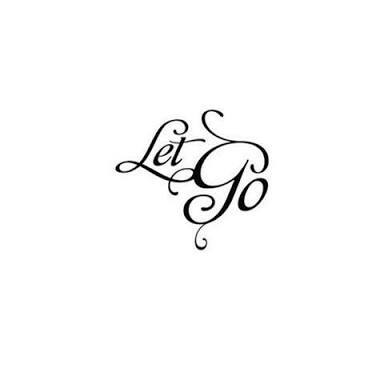 Letting go however releases you of the worry because then its not your problem anymore. A feeling of rest and inner peace replaces the initial stress. I hope you're having an amazing day? 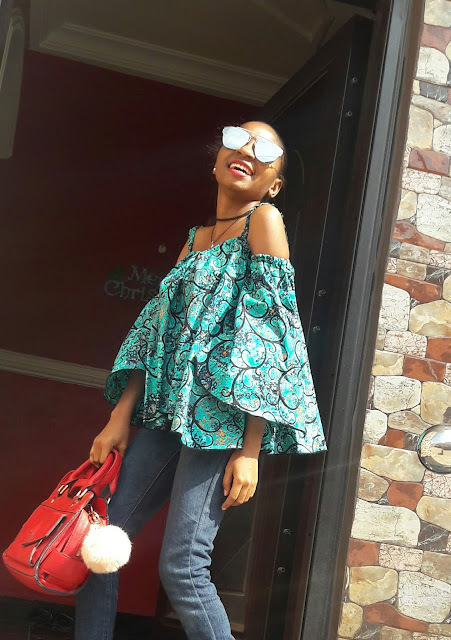 So I recently came across this tag on Tobi's blog Journalthreesixty and I absolutely loved her answers. This tag is basically a way of getting to know me better even if some of the questions are a little uncomfortable 😨😨. Since It was an open tag, I decided to join in the fun! As you might have seen, there are 50 questions so I suggest you grab your popcorn and sit tight! 3ft/4ft something… never really paid attention to the specifics for obvious reasons. 5)How much do you weigh? No. I had stud stickers one time though. 8)OTP (one true pairing: what’s your favorite fictional couple)? Moral Lesson: I never want to do it again!. it's really not a pleasant experience. However, #Girlschat is here and that makes me happy. How are you today? Great I hope. Let me first say that I really appreciate everyone who reached out and checked on me last week, thank you so much I'm better now. For those who would have not didn't know, don't worry i know you have good intentions too😉 so it's all good. Having said that, I welcome you to another exciting Girlschat Thursday! This week we'll be looking at movies. Yaaay! 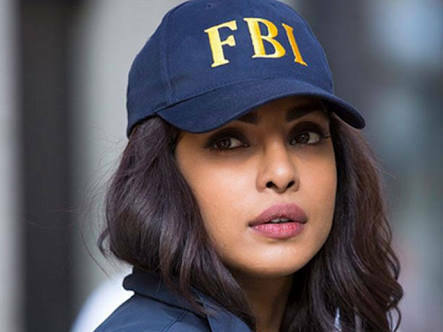 If you didn't know, I looove movies especially series and if you haven't checked out my post on the top 10 tv series, then you should defiitely check Here ! I can assure you that it's a good pick although I'd have to make another list soon. 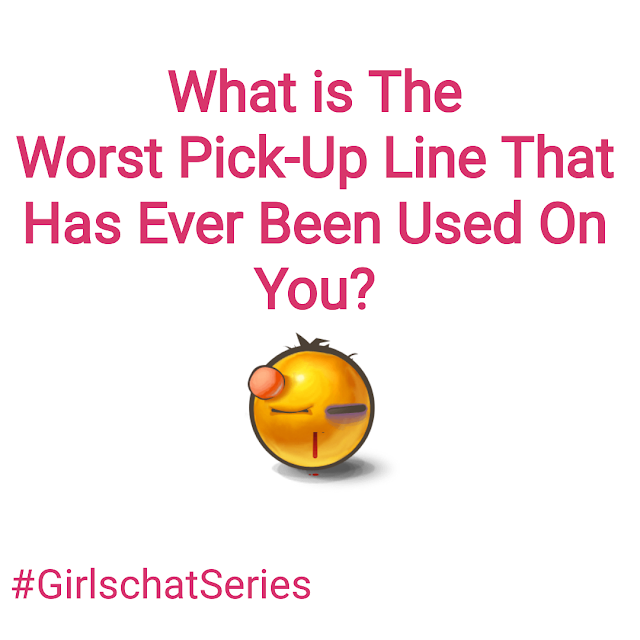 GirlschatSeries 15 || What is the worst pick-up line that has been used on you? How are you guys doing? Better than I am, I'm sure. So Malaria decided to play a kind of game with me today, I'm not sure why though. I almost thought I won't be able to post today, but I needed some ginger and good laughter in my system and voila! Here we are. Today's topic is basically just for laughs. We are talking about the worst pick up lines that have been used on us by these "wonderful" guys. You'll see guys that make sense you wont date them, its somebody that will be making you cry you'll be going for. He even went as far as sending me that meme of "find someone that ruins your lipstick not your mascara"
Tosin said : "I'm asking you out because I asked someone else out but she said no"
Fikky said: "It's like i know you somewhere, Some will even use bad english to ask..
"Diary Of A Cross Corper"
Life as a cross corper wasn't exactly rosy but I must say it was better than alright. If you missed my camp experience you can check Here ! 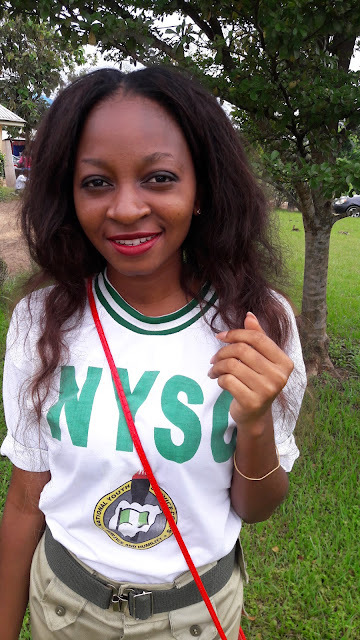 Life on camp wasn't one I loved very much, but my experience in boarding school taught me a thing or two which I was able to apply in the orientation Camp.